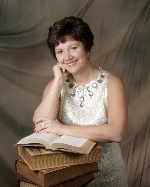 Frequently Asked Questions About Patricia’s Books. The main character in my fictional “Louie Morelli” series. 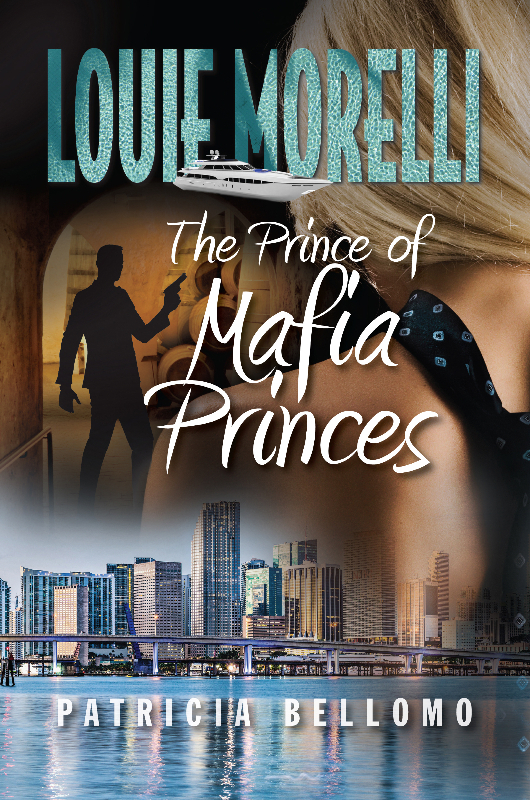 Formerly of the New Orleans mob, Louie is a south Florida entrepreneur. A very compelling and enigmatic character, Louie wants to be legitimate, but things happen and somebody always screws up. Where do the ideas for your Louie Morelli novels come from? They’re mainly character driven. Louie and his wife, Angie, first made a cameo in a bad New Orleans based romance I wrote twenty years ago. They’ve been with me ever since. Fortunately, I never published the earlier book. I do get flashes of insight, waking up in the middle of the night to jot down notes, etc. And, I have known a few Louie Morelli “types.” That is certainly helpful. No. My characters provide me with a series of scenes that I connect. I do have to determine if they’re workable and/or believable. Before I start a book, I have a vague blueprint in my head, and I know how it’s going to end, but my characters determine what happens in between. Louie and his friends, Victor DeAngelis and Nathan Roth, do operate from a code of honor, but they are not averse to lying and cheating, and somebody usually gets killed. How is it that a nice lady like you is writing about mobsters and criminals? I have a naughty imagination. Do you know any Louie’s? Louie is a total fabrication, as are all of my characters. But I’ve met a few similar types in my life, and they may have provided some inspiration. You and your husband are of Italian heritage, and you live in an Italian neighborhood. Do you worry about portraying Italian-Americans in a bad light? I don’t mean to offend anyone, but its entertainment. Get over it. I’ve always been an author, but who knew? For your first book you chose the title, Stella di Mare. What does this mean? It means Star of the Sea. It’s the name of Louie’s yacht. Stella is also the name of Louie’s beautiful daughter. Due to her husband’s gambling, she gets abducted in “Louie Morelli’s Daughter.” Incidentally, “Stella di Mare” was the first book that was published, but the first book in the series is “Louie Morelli’s Mistress,” which is a good one to start with. What do you like best about Louie Morelli’s Daughter? Seeing the transformation in Stella. She starts as Daddy’s darling, a real princess, but traumatic things happen, and she begins to change in a not so nice way. Not really, although I am always partial to the most recent releases. Louie, of course. But also Victor and Ceci and Angie. Adult readers of thrillers: Crime, suspense, mystery, mob thrillers, and mafia fiction books, even romantic suspense. It’s a bit R rated, with some sexual and/or mildly violent scenes. Louie’s a philanderer and this always adds spice. I cut across gender lines, but women tend to read more than men. Amazon.com and all the on-line retailers. The major bookstores have me, but I may not be on their shelves, so you’ll have to ask. They will ship directly to you. Books are available on Kindle, Nook, ibooks and in other ebook versions. Yes, but this one is going is a little slow because my life is getting in the way. But it’s back to New Orleans in the next one. And it’ll be riveting. I promise you this.